On January 12, 2010, a powerful earthquake rocked Haiti causing a significant amount of death, long-term disability, and unsanitary conditions. In response, medical providers from the U.S. mobilized to provide immediate care to Haitian communities. Dr. Rahul Khare and a team of medical volunteers from all over Chicago organized to temporarily staff emergency response operations at Haiti’s largest public hospital. It was there that Rahul worked 14-hour shifts in a makeshift ER tent to provide crucial medical care to patients whose language they did not speak and within an environment lacking in advanced technologies and supplies. This transformative experience resulted in new approaches to thinking about how to deliver quality medical care. It would only be a matter of time before Rahul launched what is now known as Innovative Express Care. Innovative Express Care delivers high quality, low cost primary and urgent care designed for the 21st century. No hidden costs, no unnecessary tests, and the highest quality urgent care in the city of Chicago. We do a lot of things here, but this is what we do best: Delivering efficient, high-quality, friendly care, in an innovative way. We are changing the way healthcare is delivered. Why Use Innovative Express Care? Hello Chicago. You know what’s annoying? Calling your doctor and having them tell you it’ll be one week, two weeks, maybe even a month before they can squeeze you in for a rushed, impersonal medical visit. You don’t have that kind of time. And that rash on your arm isn’t gonna fix itself. Come see us right now. Like, NOW now. Our urgent care typical wait times are less than 15 minutes (5 minutes average), we have free parking, free WiFi, we’re always cheaper than an ER visit, we have state-of-the-art equipment, and we take most major health insurances. Those are the perks, but the real value is access to the best healthcare providers in the Chicago. Yes, 60614, 60657, 60647, Lincoln Park, Lakeview and DePaul: we are here for you! We are Chicago’s premier primary care, walk-in, urgent care, immediate care, and medical clinic. Just walk in or make an appointment, and we’ll see you quickly and efficiently. And after you’re done visiting us, we’ll refer you back to your own Primary Care Physician, or help match you with a great Chicago doctor in your area. Why use Innovative Express Care? The question really should be: Why would you use anything else? You want instant online access to your medical records? Done. You want to schedule your appointments over the Internet? Done. You want to have loved ones join you in the examination room, even if they’re thousands of miles away, via our videoconferencing system? Done. You want to know the cost of your visit? Done. You want an on-site pharmacy so you don’t have to make another stop before getting your medication? Done. Want to not have to pick up the phone? Just book your appointment. 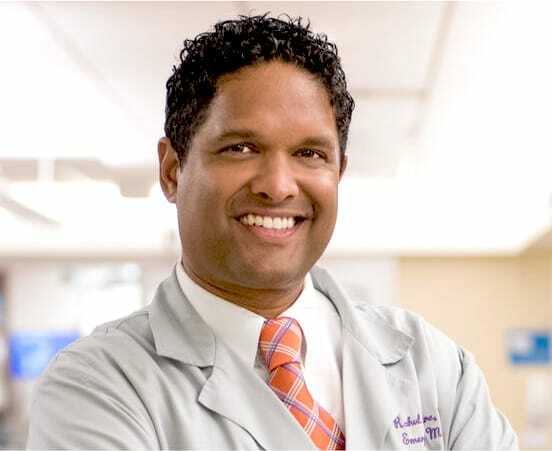 When Dr. Rahul Khare, founder and CEO of Innovative Express Care, was working an afternoon shift at at the emergency room of a major Chicago hospital, he decided to ask each patient he saw what brought them to the ER. Many had non-life threatening illnesses or concerns, like ankle sprains, pink eye, sore throats. Nevertheless, their primary care physicians had recommended they visit the ER because they couldn’t fit them in their schedules. Dr. Khare asked these patients why they did not instead go to an urgent care clinic. They told him they don’t like those impersonal, factory-like “doc-in-a-box” urgent care experiences. They told him they like all of their healthcare in the same place. They explained that the urgent care and walk-in clinics often didn’t have what they need anyway. From that moment on, Dr. Khare set out to build a high quality urgent care facility, using patient-centered policies and innovative methods and technologies, keeping costs low and the patient experience unbeatable. Welcome to Innovative Express Care.